22 1/2" diameter x 35" Ht. 55 Lbs. Durable TGIC powder-coated finish for indoor or outdoor use. 4 colors available. Sold with flat top, rain top, ash top or dome top. 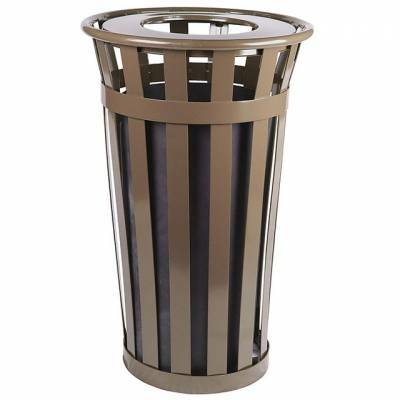 Price reflects receptacle with flat top. A clean environment is an attractive asset for any business! Our 24gal. 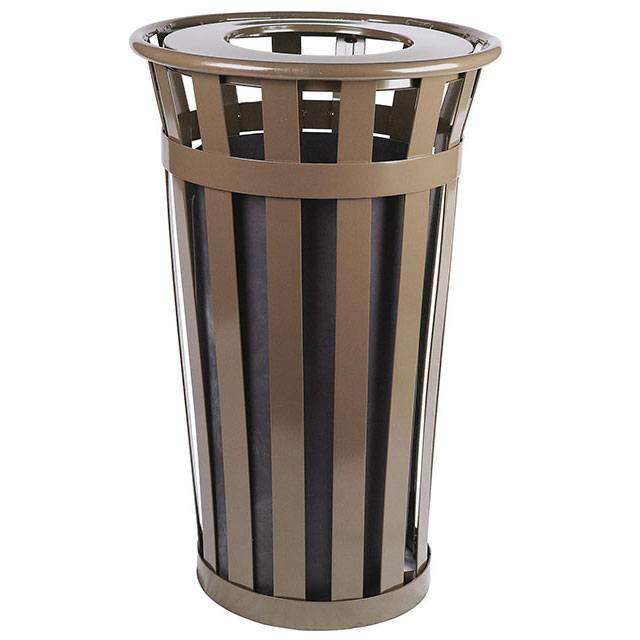 Oakley Slatted Trash Receptacle is a perfect solution to keeping trash off of your property and the community streets as well! Manufactured with commercial grade materials and will last for many years in all weather conditions. Four color choices are available with your choice of top. Comes with a 5 year commercial warranty! Best of all...Made in the USA! Call or email National Outdoor Furniture today for a quick quote! 4', 5', 6' and 8' Boulevard Backless Bench - Portable/Inground/Surface Mount.